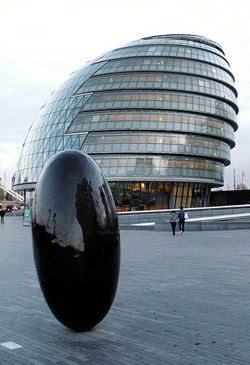 Gifts And Hospitality To London Assembly Members: Any Dirt? Londonist Gifts And Hospitality To London Assembly Members: Any Dirt? So, after the last couple of weeks, a leaf through the London Assembly's Register of Members Interests is almost disappointing. Some of the declarations are comically tiny: a book token here, some flowers there, even a panama hat (from Ecuador's Chamber of Commerce, since you ask). Kit Malthouse announced in April that he had been given a framed photograph of himself with someone from London Citizens, which suggests a certain narcissism, but nothing more disturbing than that. Other entries are so obviously work-related that you wonder why they need declaring at all. Back in April two AMs went on a tour of the Thames Barrier, like sulky children on a school geography trip. In March two more attended a dinner to welcome the new commissioner of the Metropolitan Police, which mainly makes us wonder why the other 23 didn't show up. The more interesting entries, in fact, are largely down to our old mate Brian Coleman. In the last few months he's eaten at the Bulgarian Embassy, attended a concert with the Armenian Ambassador, and had a whole series of dinners care of the bloke who runs Brent Cross. In 2007 he went on an all expenses-trip to Cyprus, to attend events "protesting against the Turkish occupation." This failed to dislodge the Turks, which is presumably why he had to make the exact same trip the next year. The most intriguing thing about the Register, though, is what it doesn't say. Every AM declares some interests, whether only a couple or several dozen. The single exception is the BNP's Richard Barnbrook. Perhaps he's too honourable to accept any such hospitality. By Jonn Elledge. Image by Gaz-zee-boh from the Londonist Flickr pool.